Said GACI received the Diploma in geophysical engineering and the Magister degree in petroleum economics and strategic management from the Algerian Petroleum Institute, Boumerdés, Algeria, in 1997 and 2004, respectively, and the Magister and Ph.D. degrees in geophysics from the University of Sciences and Technology Houari Boumediene, Algiers, Algeria, in 2002 and 2011, respectively. He is currently a Senior Geophysicist with the Division Exploration, Sonatrach, Boumerdés. His research interests include the application of signal processing and pattern recognition techniques in geosciences. Olga HACHAY received the Ph.D. degree in geophysics from the Russian Academy of Sciences, Moscow, Russia, in 1979, and eaned the title of Professor in geophysics from Moscow State University (Geological Faculty), Moscow, Russia, in 1994. Prof. Hachay is the leading scientific researcher of the Institute of Geophysics Ural Branch of Russian Academy of Sciences in the frame of the laboratory of borehole geophysics since 2008. She is involved in many research projects and has published several papers in reputed journals. Nowadays, the decrease in the world oil/gas reserves is a major challenge for both energy producers and consumers. Therefore, an aggressive exploration and production strategies are highly requested to sustain the world energy production level. In this view, the aim of this book is to present the newest advances in Oil/Gas exploration, and to make wider audience of geoscientists aware of these developments. 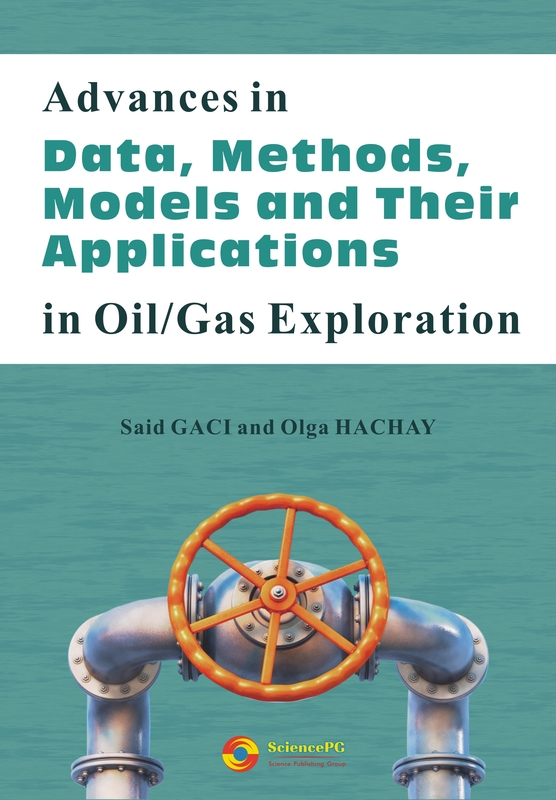 This book covers several topics of Oil/Gas research. Chapter 1 presents a type of unconventional reservoirs, which are specifically shale gas reservoirs, with their associated exploration and production techniques. Chapter 2 suggests a new exploration procedure using the knowledge of the Oceanic Anoxic Events (OAE’s) distribution maps so as to delineate the main source rocks existence and thus contribute to improve new petroleum systems. A Bayesian facies estimation for detecting high quality parts of hydrocarbon reservoirs is discussed in Chapter 3 and a case study from an Iranian carbonate reservoir is reviewed, while applications of seismic attributes for hydrocarbon reservoirs detection and characterization on datasets taken from different international basins (Blackfoot, Canada; Boonsville field, South Texas) are documented in Chapter 4. As regards seismic data processing, Chapter 5 focuses on using radial basis function artificial neural networks for the removal of random noise and the inversion of 2D-seismic data recorded in Southern Algeria. Regarding well log data, Chapters 6 and 7 illustrates the analysis of heterogeneities from Algerian datasets using the local fractal model and the Empirical Mode Decomposition, respectively. In addition, Chapter 8 proposes a new approach based on Hilbert-Huang transform to investigate multi-scale features of the recorded logs, with an application on KTB (Germany) borehole data. Chapter 9 presents new ideas of developing a new method of an active electromagnetic induction and a seismic monitoring in oil saturated media, while Chapter 10 shows a modelling of seismic-electromagnetic processes in hierarchic structures, linked with seismic-tectonic activity. And utlitametly, the use of the theory of open dynamical systems in research and the analysis of the behavior of the rock massif and oil saturated inclusions are given in Chapter 11. We hope you will appreciate this book.